Just last week, we learned that Nikon was shutting down operations in China, including closing a factory responsible for producing some of the company’s compact cameras and DSLR lenses. But if you thought that was going to be the only closure in the Nikon portfolio this month, think again. 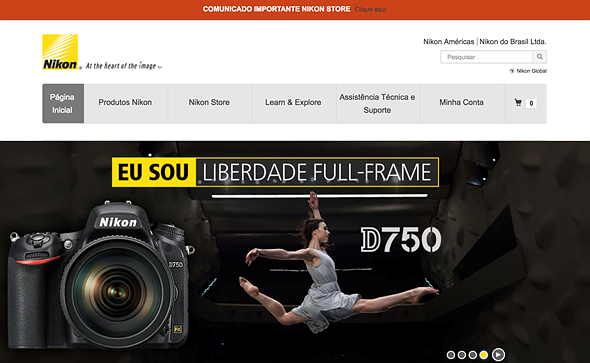 Announced earlier today, Nikon has decided to cease all e-commerce operations in Brazil, where the company ONLY sells its wares via e-commerce. Translation: Nikon will no longer sell cameras, lenses or accessories in the country. Brazilians’ only option will be gray market gear. As of December 31st, 2017, Nikon do Brasil Ltda. will end the sale of cameras, lenses and photographic accessories in the Brazilian market, currently marketed exclusively through its e-commerce arm, the Nikon Store. The company’s other business segments, including customer service and technical assistance, will continue to operate normally. The change is part of ‘global scale restructuring’ of the company’s R&D, Sales and Manufacturing, and at least appears to be the first step in pulling out of Brazil entirely. For now, products under warranty and those purchased through the Nikon Brazil Store before December 31st will continue to have access to warranty services and customer service. Nikon Corporation is optimizing R & D, Sales and Manufacturing structures in a global scale restructuring. As part of this process Nikon do Brasil Ltda.—as of December 31st, 2017—will end the sale of cameras, lenses and photographic accessories in the Brazilian market, currently marketed exclusively through its e-commerce arm, the Nikon Store. The company’s other business segments, including customer service and technical assistance, will continue to operate normally. Products under warranty, including those marketed by Nikon Brazil’s e-commerce through December 31st, 2017, will continue to honor the warranty periods. For out-of-warranty products, where possible, technical assistance will be provided based on costs approved by the owners. São Paulo, November 6, 2017.